Jams Anatra – Bora Bora Vanilla Pear & Strawberry Yuzu Juice – oh my both such delicious flavours! I put a little of each on some toast and it just meeeelted in my mouth! And all the way from Corsica, love it! Olive wood tea spoon – super cute little wooden spoon. Kusmi tea – a lovely blend of roasted maté with chocolate and orange. Comptoir du Cacao – 72% dark chocolate, nice and rich! Flagrants Désirs fruit jellies – a massive box of jellies in cherry, peach, blueberry and pear! 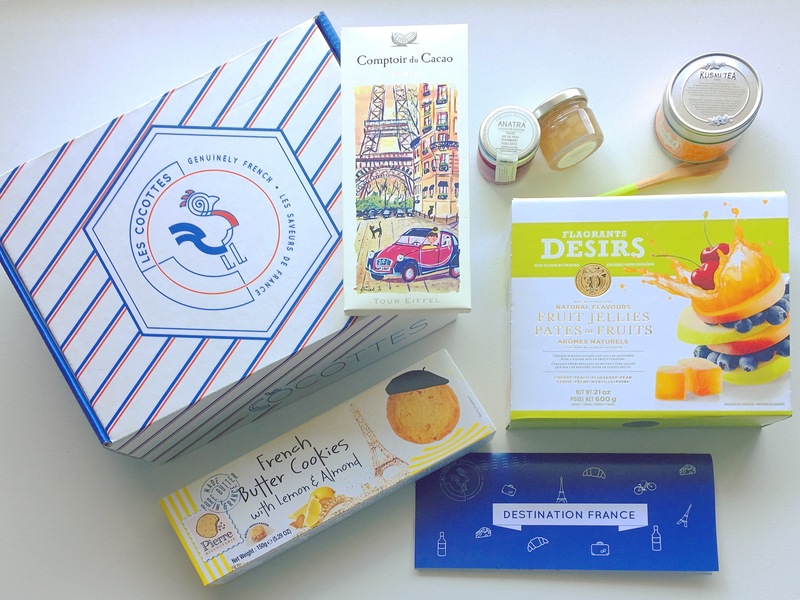 French Butter Cookies with lemon and Almond – loving all the full sized products!